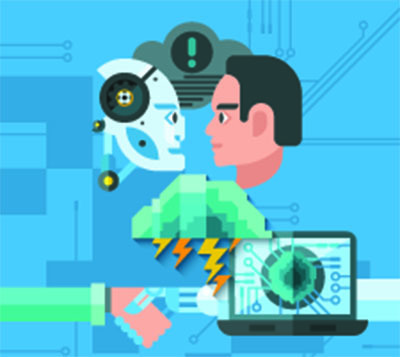 Artificial Intelligence (AI) has been on top of everyone’s mind for the last couple of years – will it improve our lives, or will robots be soon taking over? However, for DAM users it is hard to ignore the benefits of the image recognition (or more accurately – object recognition) and automatic image tagging technology in digital asset management. 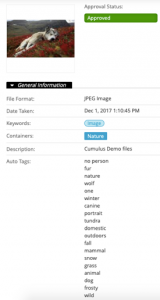 The most time-consuming (and – important) process in managing your digital assets is tagging your images with accurate metadata so they can be easily searched for and found. Simply said, image recognition picks out the central object in an image that the camera was focusing on. Focus on core strengths – with the labour-intensive manual tagging out of the way, you team can now focus on their core strengths. Select one or more assets from your collection, hit Run Auto-Tagging in your tool box. The tags are generated. Review, edit or delete tags. For years customers have been asking if there is an easier way to add metadata to assets. AI has been around for years, however only now we believe the technology has finally reached the level of functionality to be useful in digital asset management. Would you like to save time and money? Learn more about this affordable technology and what can it do for you and your asset library. Contact databasics at info@databasics.com.au or call 1300 886 238.